I mostly agree with the blog about the first paragraph, but sometimes it is important to break precedence and do something different, but then the stress must be on the conflict and the mystery. Yes, I like how the author of the article started out by playfully suggesting that rules are to be broken. Also, it did say protagonist doesn’t have to be mentioned first, etc. but it is what works most easily. I like stories that come in with mystery/conflict sometimes, but it must be done extremely well to make me care enough to wait for the connection to a person. I think it depends on genre, as well. Sci-fi can often focus on the issue before the character, but the best stories still bring in that personal connection fairly early in the story, even if the writer does it by making you as the reader feel like you are the main character affected by the issue. I was thinking of my WIP. I do not introduce the protagonist, but there is a huge disaster. The man character then starts the second chapter. In my case, it is a science fiction. That sounds like the Prologue beginning style that was mentioned, perhaps? It sounds affective for that type of story. Yes, that is what I was going to do: Have a prologue. Then I decided many people do not read prologues and the event is central to the planet Tonath. I make it Chapter 1: The Burning. Ha. See the frame is a perfectly valid way to start your novel. 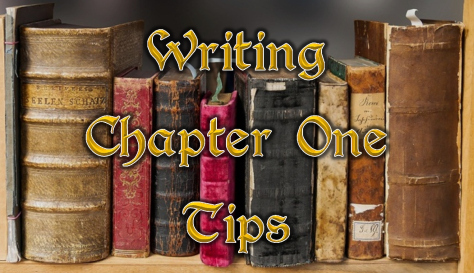 I am keeping my first and last chapters, darn it! Not that you suggested I should get rid of them but others have. Yes, I haven’t read your whole beta manuscript, but I remember reading your first ‘frame’ and I really liked it. I’m not sure I would care about the rest of the story as much without it. It fits your book and topic, in my opinion.